The Butterfly Bracelet reminds me of butterflies lying along one's wrist. It has a unique way of layering rings to give the effect of a butterfly. It flows smoothly and gently as you wear it. 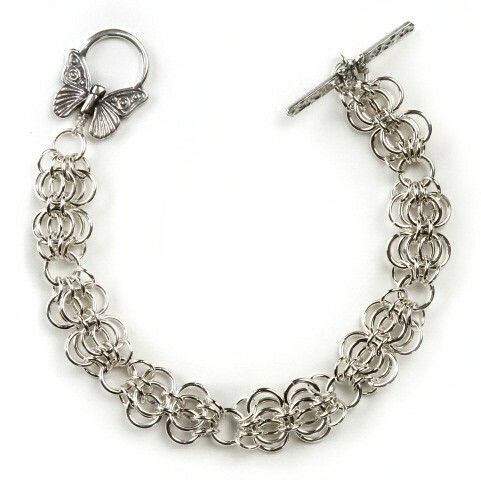 The bracelet can be made with smooth or twisted rings for the butterflies. This is an intermediate project. The clasp is not included.